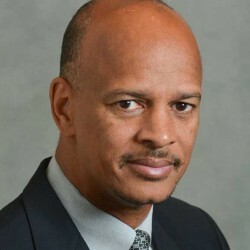 Kevin Cohee is is the owner, Chairman and Chief Executive Officer of OneUnited Bank, the largest Black owned bank and the first Black owned internet bank in America. In the aftermath of the protest against police brutality in 2016, Mr. Cohee created and spearheaded the Bank Black movement resulting in Black people transferring tens of millions of dollars into Black owned banks as a form of social protest. 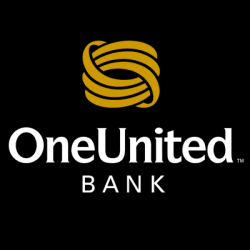 OneUnited Bank was established by unifying several community banks across the country: Founders National Bank and Family Savings Bank in Los Angeles, People National Bank in Miami and Boston Bank of Commerce. Respectively, these banks have tenaciously served many neglected urban communities in America. By unifying these banks, OneUnited Bank has built the foundation to solve the longstanding problem of access to capital in inner city communities. Through Mr. Cohee’s visionary leadership, OneUnited Bank has exceeded industry averages year after year regarding asset growth and profitability. From 1996 to the present, OneUnited assets have grown from $56 million to over $650 million. The Bank has consistently been profitable and achieved a compound growth rate on its common equity of over 35%. OneUnited Bank has been designated by the United States Department of Treasury as a Community Development Financial Institution (CDFI). The Bank has received the Bank Enterprise Award (BEA), the highest award offered by the United States government for community development for ten years. 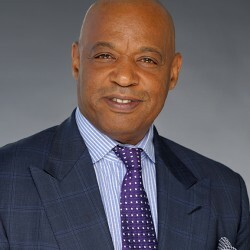 A successful business executive and entrepreneur for almost 20 years, Mr. Cohee founded a consulting firm in 1979 specializing in acquisition of radio and television stations by minorities. After obtaining his JD/MBA in 1985, Mr. Cohee became an investment banker at Salomon Brothers, Inc.
By 1988, through a leveraged buyout, Mr. Cohee acquired Military Professional Services, Inc. (MPS), a 29-year old company that marketed Visa and MasterCard credit cards to military personnel. Mr. Cohee successfully turned MPS into a profitable company with a $40 million portfolio and 20,000 customers. By 1993, Mr. Cohee sold the assets of MPS achieving significant financial benefit from the transaction. Mr. Cohee purchased a majority controlling interest in Boston Bank of Commerce in 1995 – when the Bank was experiencing financial difficulties. Mr. Cohee was elected Chairman and CEO in 1996 and has since spearheaded the Bank’s growth and profitability. Mr. Cohee is a native of Kansas City, Missouri. He holds a Juris Doctor (JD) degree from Harvard Law School. He also holds a Master of Business Administration (MBA) and a Bachelor of Arts degree from the University of Wisconsin; where he was a 4-year letterman in football. He is a member of Alpha Phi Alpha fraternity and has received numerous awards for his business and community achievements and contributions. 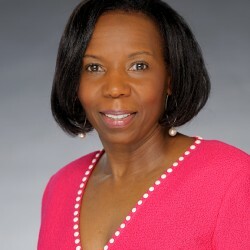 Teri Williams is President and Chief Operating Officer of OneUnited Bank. She is responsible for implementation of the Bank’s strategic initiatives, as well as the day to day operations of the bank. These operational areas include all retail branches, marketing, compliance, lending, information technology, customer support, legal, and human resources. Under her leadership, OneUnited Bank has consolidated the local names and product offerings of four (4) banks to create a powerful national brand supported by innovative products and services. She believes the financial services industry has not connected with urban communities to fully support economic development and wealth building. OneUnited Bank can serve as a bridge by offering affordable financial services for all and financial workshops. She brings 30 years of financial services expertise from premier institutions such as Bank of America and American Express, where she was one of the youngest Vice Presidents. Ms. Williams holds an M.B.A. with honors from Harvard University and a B.A. with distinctions from Brown University. She has served as Treasurer of Dimock Community Health Center in Roxbury, MA for over 5 years. 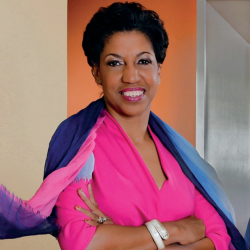 She currently serves on the Boards of the Black Economic Council of Massachusetts (BECMA) where she serves as Treasurer and the 79th Street Corridor Initiative in Miami Florida. Ms. Williams is author of I Got Bank! What My Granddad Taught Me About Money (Beckham Publishing) a financial literacy book for urban youth. Ms. Williams has received numerous notations and awards for her contribution to urban communities including from the Urban League, NAACP and the National Black MBA Association. Sherri Brewer is Senior Vice President, Chief Retail Officer of OneUnited Bank. She has been in the banking industry for 30 years. She has held senior level positions in the areas of sales, operations and consumer lending. Her responsibilities include management of five retail branches as well as the online branch, the banks facilities, item processing operations and the call center. She also serves as the Security Officer for the Bank. She has successfully managed two system conversions and one item processing conversion during her tenure. She holds a B.A. in Economics from Occidental College. Ms. Brewer has worked for Wells Fargo, Orange County Credit Union, Business Bank of California, and First City Federal Credit Union. Robert Patrick Cooper as Senior Vice President, General Counsel for OneUnited Bank, Mr. Cooper is responsible for directing all legal, regulatory and external affairs. A corporate attorney for over 20 years, he has honed his practice skills with the law firm of Hale and Dorr and acquired international merger and acquisition experience as Associate General Counsel for Battenfeld GmbH in Germany. BA in economics from Yale College and a Juris Doctor degree from Harvard Law School. Serves as Chairman of the National Bankers Association, the nation’s oldest and largest trade association representing minority and women owned banks and thrifts. Since 2003, has served as Secretary and board member of the Community Development Bankers Association. Recognized expert on minority banking affairs. Frequent speaker and presenter on the topic of access to capital in America’s inner city communities. Director of the Massachusetts Black Lawyers Association, Minbanc, and the NBA Foundation, and a Boston fellow with The Partnership, Inc.
Cecilia Isaac is Senior Vice President, Chief Lending Officer of OneUnited Bank. Ms. Isaac is responsible for the Bank’s lending operations including loan origination (sales and production), loan service and asset management. In this role she establishes the Bank’s lending strategy, generates new loan volume, manages the loan portfolio, recommends and develops consumer and business loan products, evaluates, implements and revises lending processes and procedures and ensures compliance with all state, local and regulatory requirements and agencies. Ms. Isaac brings over 30 years of banking experience – beginning with Security Pacific and including First Interstate Bancorp and Bank of California. She has retail banking and extensive lending expertise in single family lending, commercial lending, commercial real estate lending, portfolio management, loan work out, mortgage sales and credit administration. Ms. Isaac holds a bachelor’s degree, a master’s in public administration and a certificate in tax administration from the University of Southern California. Kimmie Jackson is Senior Vice President, Human Resources. Ms. Jackson is responsible for aligning the Bank’s Human Resource strategy with its business strategy. She oversees the Bank’s staffing/recruiting, training and development, performance management, compensation and benefits. Ms. Jackson has extensive human resources experience in various business environments and industries. 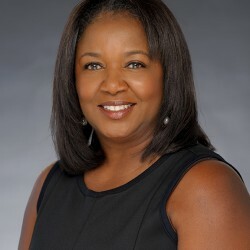 Prior to joining OneUnited Bank in 1999, Ms. Jackson was a Human Resources Consultant at IBM/Lotus Development Corporation in which she was the HR leader supporting the Information Technology and Operations division. She also worked as a Compensation Analyst for BlueCross BlueShield of MA and a Human Resources Manager for the International Paper’s Erie paper mill. Ms. Jackson holds a M.B.A. from Vanderbilt University and a B.S. degree in Chemistry from Fisk University. She is a member of the Society for Human Resources Management and a Boston Fellow Alumni with the Partnership, Inc.
James Slocum is Senior Vice President, Chief Information Officer for OneUnited Bank. He has been with the bank for over 9 years and through his leadership, OneUnited Bank is able to leverage state-of-the-art technology to provide quality services to our customers. He is responsible for supporting the bank’s nationwide communications and maximizing operational efficiency through the use of technology. He also serves as the Privacy Officer for the Bank. Mr. Slocum has over 10 years of experience developing, integrating and supporting enterprise solutions. Mr. Slocum holds a bachelors degree in Computer Science with a minor in management from Rensselaer Polytechnic Institute. John Trotter is the Senior Vice President and Chief Financial Officer of OneUnited Bank. He is responsible for overseeing the company’s finance and planning operations. Mr. Trotter served as Chief Financial Officer of Family Savings Bank from 1998 until it was acquired by OneUnited Bank in 2002. Prior to joining Family Savings Bank, Mr. Trotter served 18 years at Great Western Bank until it was acquired by Washington Mutual in 1997. In 1991, he was named first vice president and manager of accounting. He was named manager of investor relations in 1996. Mr.Trotter graduated from The Ohio State University in 1973 with a bachelor of science in business administration with a major in accounting.